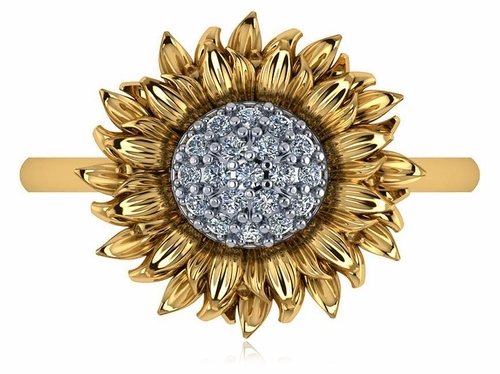 The Sunflower Pave Set Cubic Zirconia Ring features a life like sun flower with a sparkling pave set round cubic zirconia center, surrounded by a delicate halo of petals. 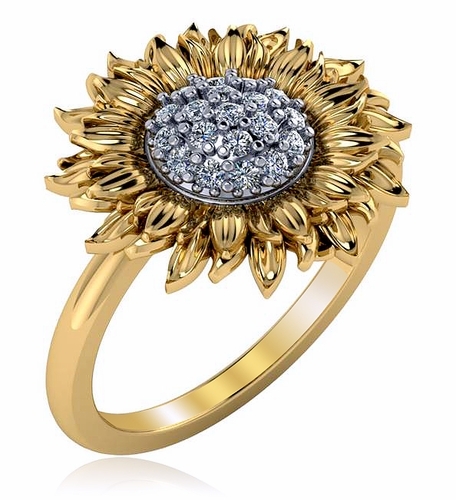 This sunflower ring is a perfect right hand ring and makes a beautiful gift for many occasions. 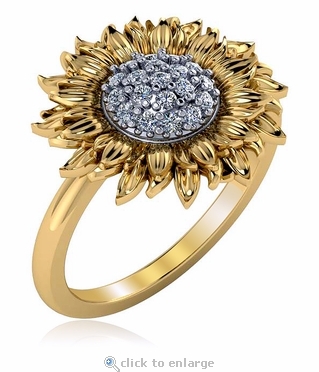 The top of the sunflower measures approximately 16mm in diameter and sits up about 3.5mm in height off the shank. The shank has a thickness of approximately 1.75mm and the ring includes approximately .20 carats in total carat weight. Choose from solid 14k yellow gold, 14k white gold and luxurious platinum. Whole and half finger sizes 5 through 8 are available in the pull down menu and additional finger sizes can be ordered, please call for details. For further assistance, please contact us directly at 1-866-942-6663 or visit us via live chat and speak with a knowledgeable representative.